With ABC News and CBS cutting newsrooms and facing profit troubles, some networks are considering partnering with other news stations. A scoop buried in Brian Stelter and Bill Carter’s report in the New York Times explains how CNN and CBS might be working closer together. Executives also met with CNN’s silver fox about an anchor job. Why not Couric, who remains a marquee talent despite being a $75 million flop for CBS, the insiders said. 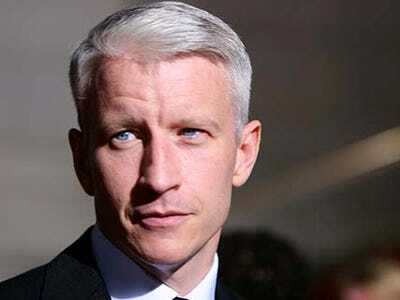 If Cooper, who has worked for CNN since 2001, were heading to CBS full time, he would be following his former Anderson Cooper 360 co-anchor Erica Hill. She left CNN in January to join CBS News full time, after being a co-anchor on the Saturday Early Show broadcast since September 2008. Although the Times reports that it is “unclear” whether executives might bring in Cooper to replace Couric, whose five-year contract ends in mid-2011, there’s no guarantees that Cooper would be significantly cheaper for the network. According to the Post, his 2007 deal was worth $50 million over five years.